With the demise of the Style Council, Wild Wood found Paul Weller returning to his roots both literally and figuratively. 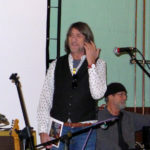 Having already acquired the hallowed title of Brit Rock’s “Modfather,” thanks to his efforts with the Jam nearly two decades before, he turned his attention to the seminal bands that had imbued a more soulful sound into the British rock scene of the late ‘60s and early ‘70s — Traffic, Free, the Faces and Spooky Tooth in particular. He hadn’t shed any affection or affiliation with his early idols — the Who, Small Faces and the Kinks still weighed heavily on his MO — but he also had come to realize that he had to temper that template and establish an individual identity that he could tout on his own. His second solo album, Wild Wood marked a quantum leap over his eponymous debut. The songs were more compelling, his vocals more emotive and the cohesion more defined overall. Though it wasn’t a concept album, at least by definition, it did evoke a pastoral feel not unlike Traffic’s early woodshedding in their country cottage. A vague haze of psychedelia permeated the piece overall, but the spontaneity was fresh and unaffected, indicated that Weller was feeling free to experiment and pursue his muse. The three songs released as singles in the U.k. — the title track, “Sunflower” and “Hung Up” advanced to the top 20, offering all the evidence needed that Weller could again be considered a force to be considered now that he was on his own. Even today, 25 years after its initial release, it remains Weller’s most defining effort yet, and the single album that fans and critics consider his most essential. Any questions about the album’s influences are easily answered by the bonus tracks that accompanied the album’s 2007 reissue. Covers of CSNY’s “Ohio,” Tim Hardin’s “Black Sheep Boy” and, most tellingly, the Small Faces’ “I’m Only Dreaming,” all reflect some of the sounds Weller was listening to at the time.